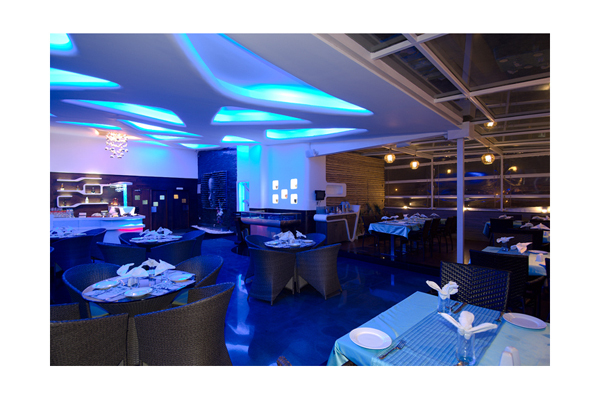 S.signature , a fine dine space is an attempt to bring the brand definition for a chain of restaurants - SWATHI . 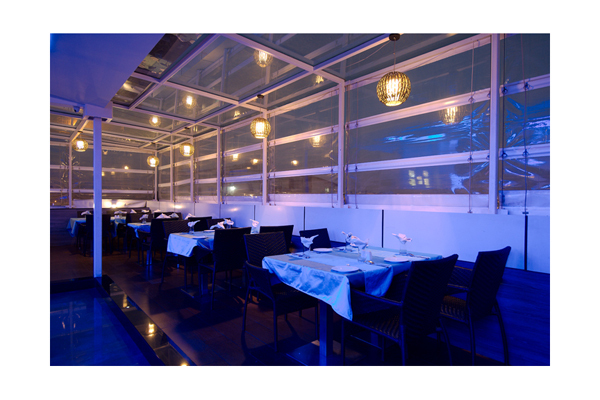 The program was to design a fine dine space for 90 pax capacity on the terrace floor. 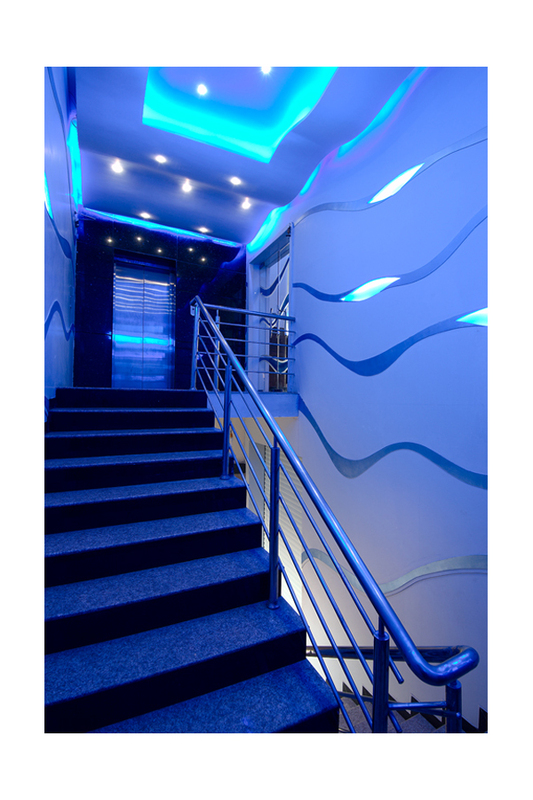 The design concept was to bring in the free flow in space and pattern. 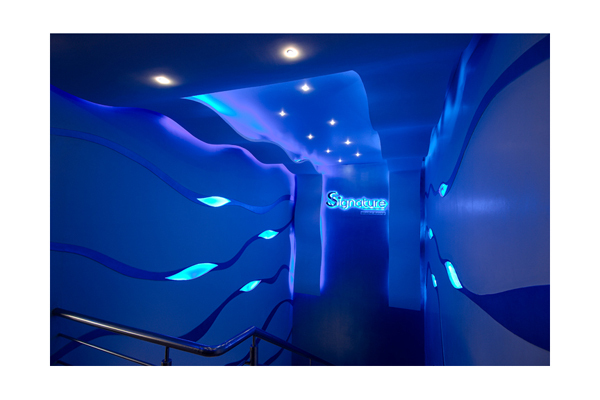 Fluidic pattern and blue lights are used to create space vibrancy. The pattern evolves at the entrance lobby and continues till the lounge bar. 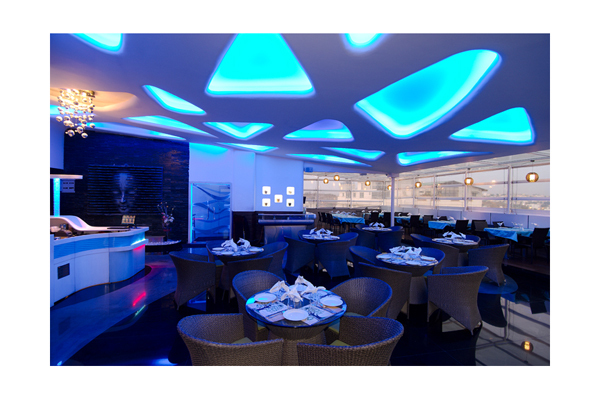 The fluid pattern on the ceiling is an abstract depiction of the sky. 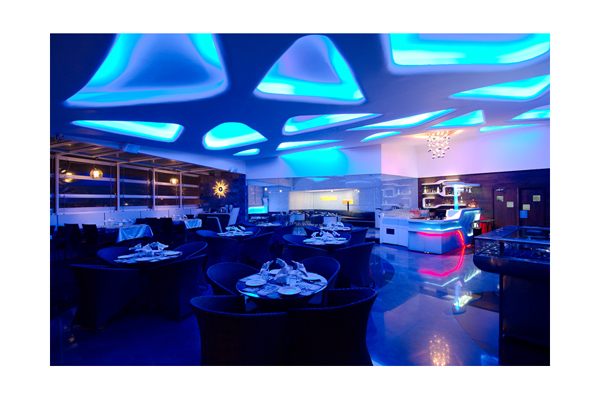 The blue lighting of the ceiling further enhances the dramatic feel of the space. The free flowing granite flooring pattern defines the seating layout. The furniture design follows the main concept. The raised seating at the periphery enables panoramic view of the city. 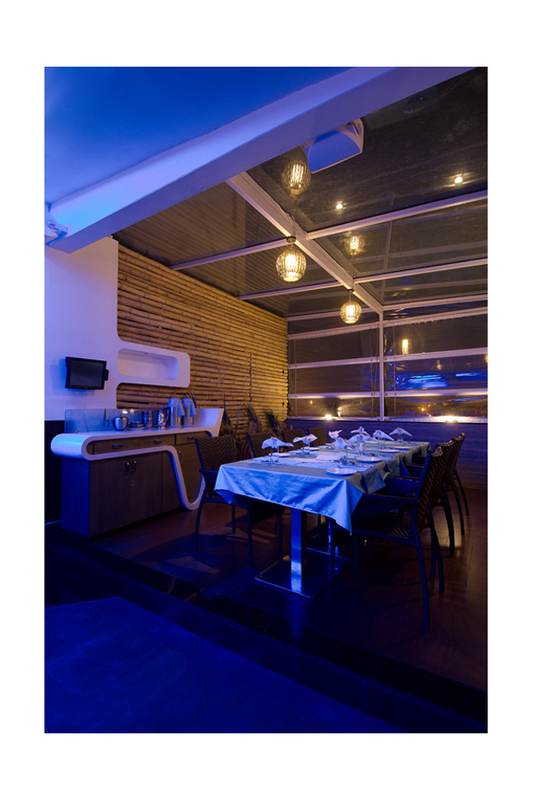 The seating is further highlighted with glass roof top and stone / bamboo cladding on walls to give a feel of outdoor dining. 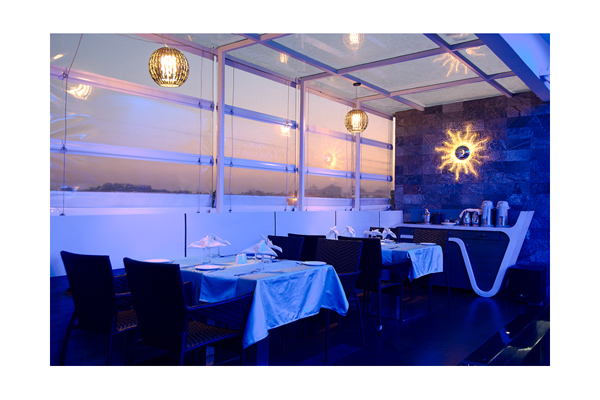 The exclusive air conditioned lounge bar is enveloped by the glass, hence camouflaged with the theme. 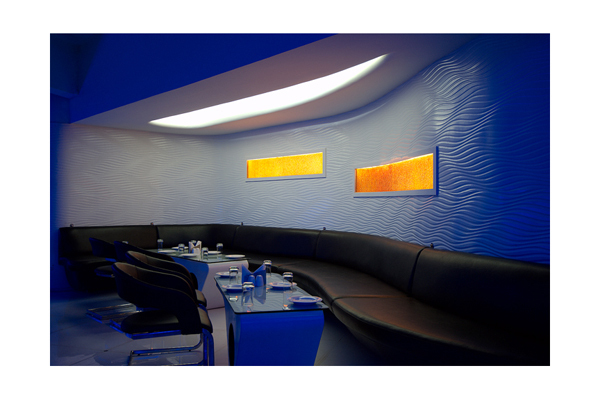 The lounge bar is defined by the free flowing theme wall with wave pattern finish which in turn ends with seating. The dining space has a part kitchen attached, supported by the main kitchen at the lower floor. An exclusive bar counter is designed in fluid form with storage below and display shelves on the side wall. 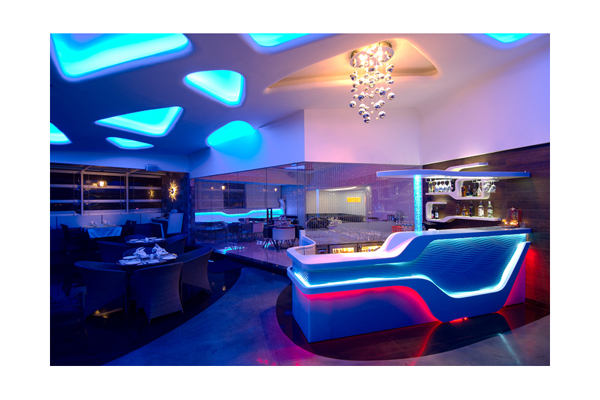 The bar counter is located at the junction of terrace seating and lounge bar. A Buddha statue mounted on the stone cladded wall adds to the decor of the space. 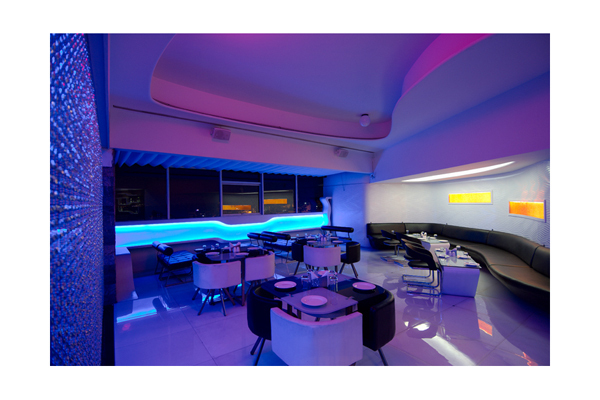 Overall the design form and the lighting coherently define the ambience of S.signature.